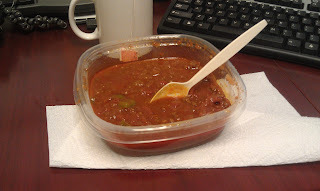 It was a rainy, cold day in the DC area and I was very happy to have some left over chili to devour! Perfect! Breakfast: If it works, don't change it! 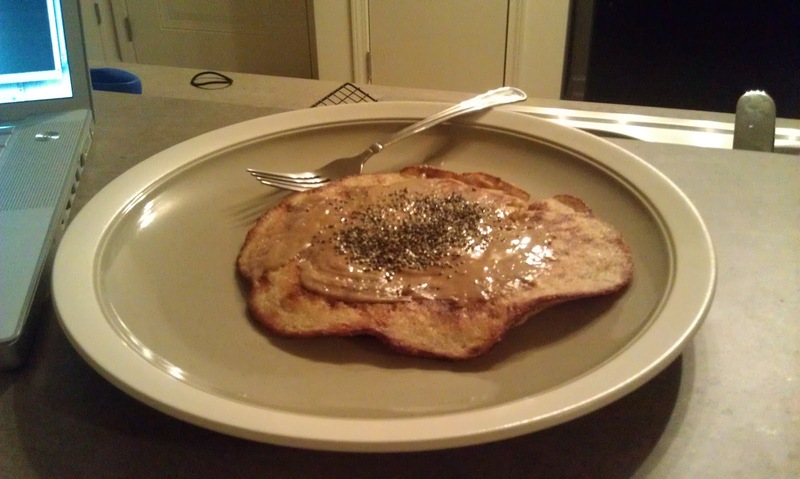 Same banana omelet with almond butter and chia seeds. 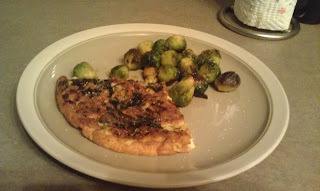 Dinner: A DELICIOUS roasted chicken, spinach, and basil frittata with roasted brussels sprouts. Fact: Every time I use the broiler on my oven I set the smoke alarm off. EVERY.TIME!